“Princess” waiting for that doggone security to end so the royal treatment can resume. 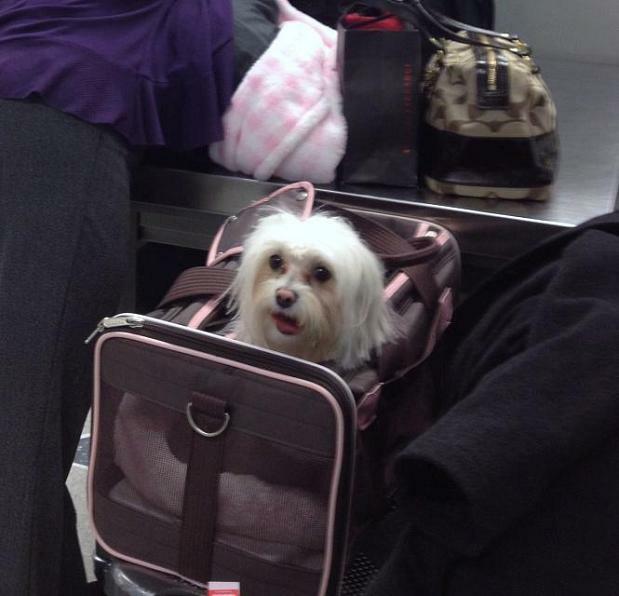 This entry was posted in Let's Paws: I break for critters, Pet travel and tagged Newark Airport, NJ, Pet Travel. Bookmark the permalink.